Pants. Society says we need them. Who am I to argue? The Alpinestars Missile Airflow Leather Pants provide all the protection and fit of the original Missile pants with perforated leather to provide a bit of airflow. 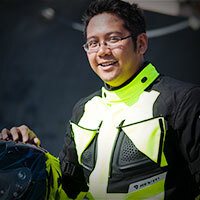 Accordion leather stretch panels above the knee allow you to move freely on the bike. It's not nearly as comfortable as wearing just a pair of briefs, but you'll never pass tech inspection that way. If the organization running your track day is anything like my mom they will probably make you wear pants. 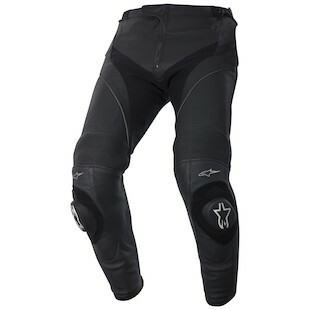 Might as well wear the Alpinestars Missile Airflow pants so you get some sort of cooling breeze. The track style protection is probably a good idea too. ...As soon as I get home, these are coming off and I am rocking my plaid boxers... Oh wait, is this blog still on...?